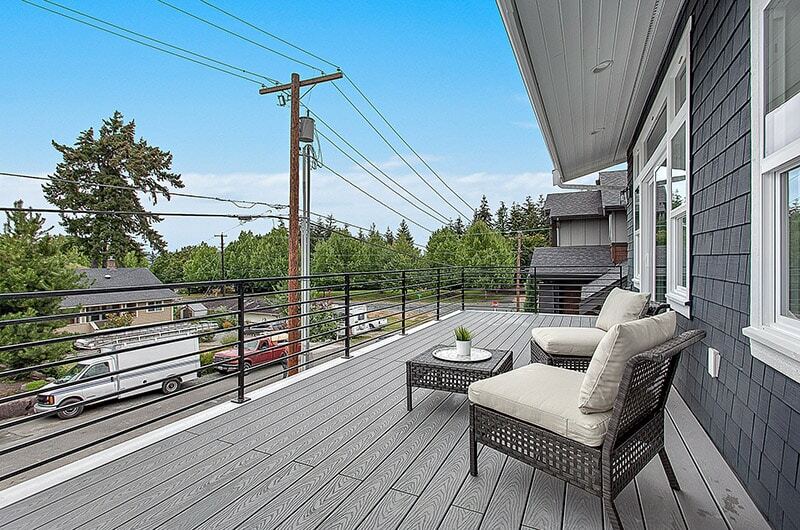 In 2015, Marilyn Smith Real Estate listed a single-family home in historic East Seattle neighborhood of Mercer Island. The owners, whose father had built the house, wanted to sell it to someone who would respect the family legacy. They expected an upgrade, but hoped it would not require tearing the structure down. Enter ‘Green Builder’ Justin Davis. Davis purchased the two-bedroom, one-bath home for $659,000 in December 2015, with an assurance that he would keep the original footprint and aesthetic feeling, but give it new life. Davis put his construction company, True Design Build, to work and now, less than a year later the 2,000-square-foot home is now on the market as a 2,700-square-foot, four-bedroom, three-bath property with immaculate landscaping, and upgrades throughout. What’s more, the next owners will be able to raise their next generation of family with some of the original elements in tact, like exterior side walls that have wavy lines called "drunken bricks." The property is currently listed by Windermere’s Robyn Kimura-Hsu as MLS #1024199 SEE DETAILS for $1,650,000. The back porch was covered with a fiberglass awning. That was removed and the open patio helped bring light into the entire house.